It was great to see 55 farmers, sponsors, and agronomists at the Tarlee Durum Forum. The morning was action packed with great speakers presenting on a broad range of topics that impact on growing Durum. Attendees came from Lower North, Mid North, Yorke Peninsula, West Coast of South Australia and Victoria. 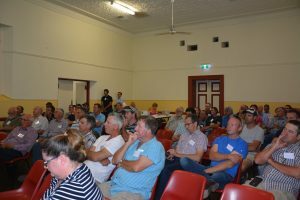 Attendees at SADGA Pre-Seeding Forum at Tarlee. The Chairman of Southern Australia Durum Growers Association welcomed everyone to the action packed agenda. 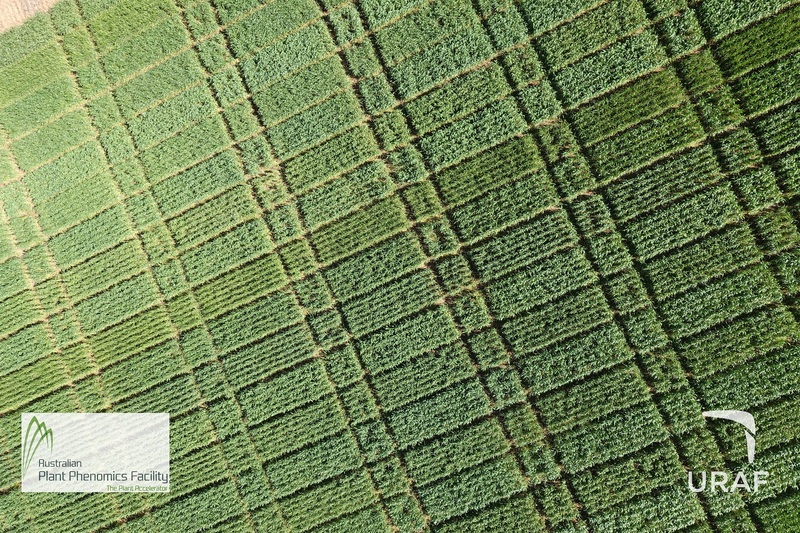 Agronomist Craig Davis caught up with durum breeder Jason Able and research scientist Mike Sissons. 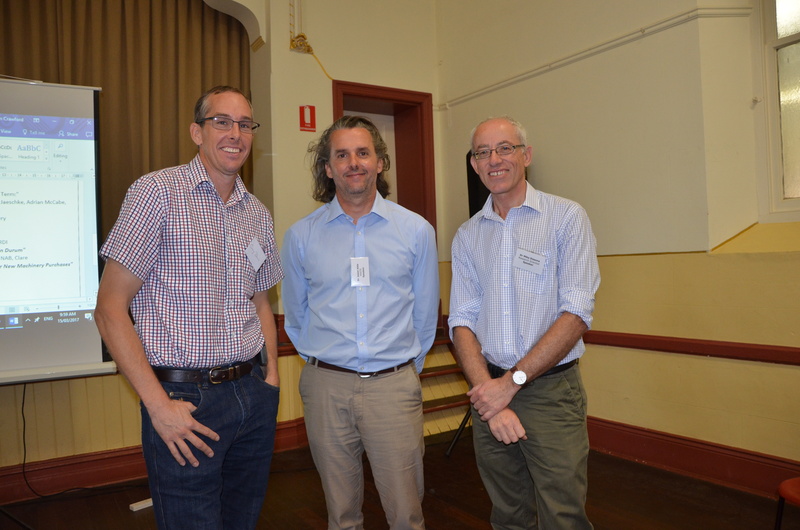 Dr Jason Able presented the highlights of the 2016 Durum Breeding Programme and SAGIT reports. Jason was able to present a very positive outlook for Durum into the future with 3 lines being built up for stacking against Aurora. 2 of these lines will be bulked up at Roseworthy in 2017 and the other one a year later. Benn Oliver, Glencore followed on from Jason by outlining Durum Marketing on the world scene, while Justin Wilks, ADM presented marketing wheat and barley. Mike Sissons, Principal Research Scientist, NSW DPI provided and update on the quality of the DBA material and discussed the new dough instrument and predictive tools. 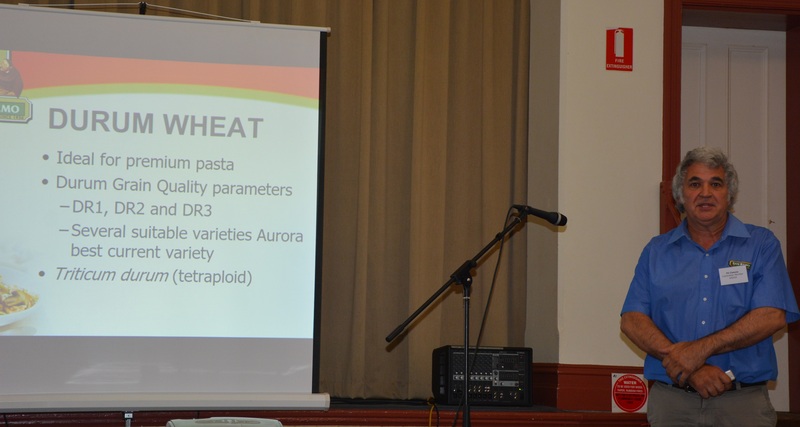 Fil Ciancio, San Remo spoke on the ideal Durum seed which makes the better past – ‘Milling qualities of the current varieties, especially Aurora. This entry was posted in Events, Forum on March 19, 2017 by Jan Crawford. 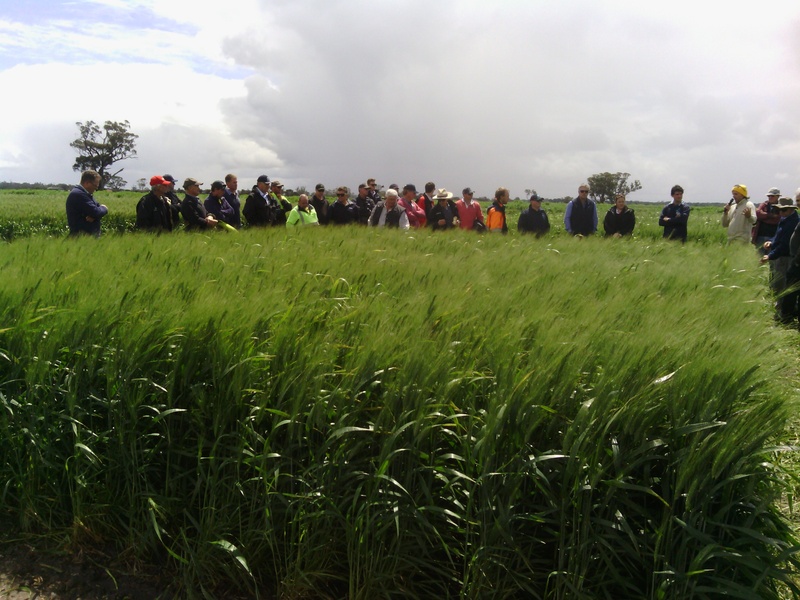 Although the weather was wet and cold many attended from SE, Victoria & NSW the SE/Victorian Crop Walk. The day began with a BBQ at the Jolpac site; from there we looked at the Durum versus Bread wheat trial sites conducted by Nathan Tink & Jason Able. This entry was posted in Crop Walks, Events on November 13, 2016 by Ann Price. 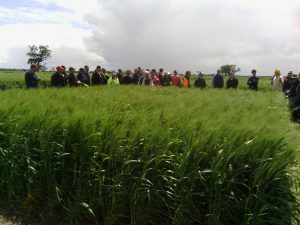 Approximately 35 interested farmers and industry representatives attended the Mid North Crop Walk which commenced at Roseworthy College Trial Site after which the group had an enjoyable lunch at the Roseworthy Hotel, and subsequently visited the Turretfield trial site. The day began with an unexpected visit from Ramesh Segaran from URAF, University of Adelaide with his drone which he demonstrated and spoke to the group regarding the value of this asset and its uses in agriculture and how these drones are used on trial sites. 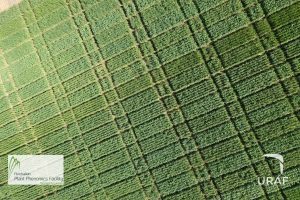 This entry was posted in Crop Walks on September 12, 2016 by Jan Crawford.